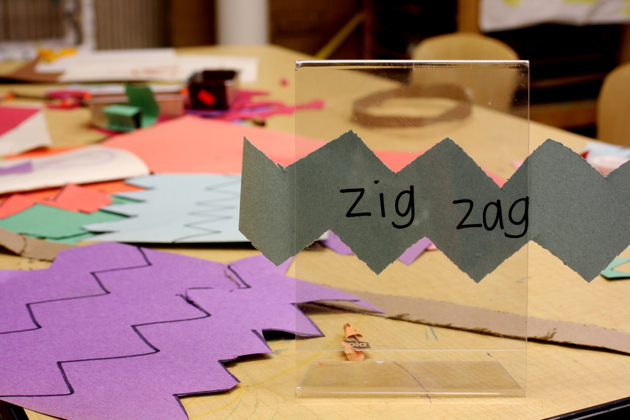 a couple of simple zig zag activities that were occupied much of the days. 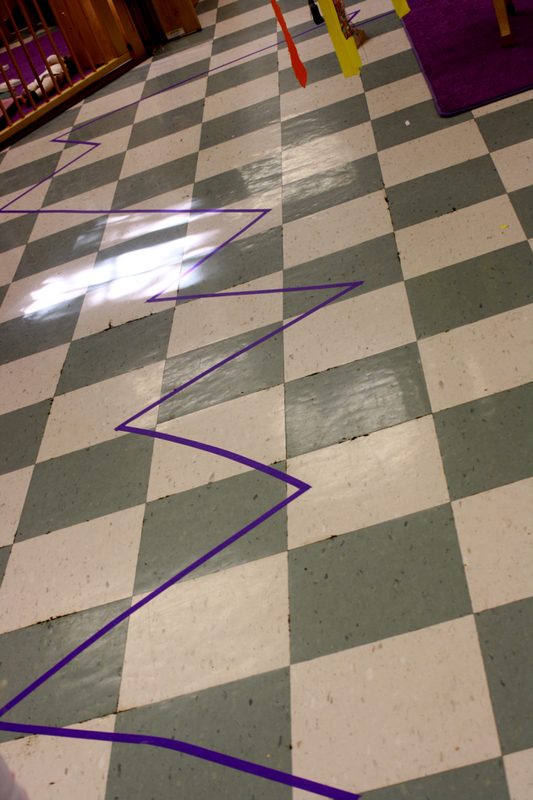 a zig zag tape line was perfect for running on or driving cars on or lining blocks up on and finally for ripping off the floor in as long of pieces as possible. zig zag lines drawn on paper were kind of tricky to cut…perfect! in years past i’ve brought out pinking shears and other crafty scissors…but i couldn’t find them this year. there was definitely a learning curve in figuring out where to store things in a new space. next year will be a bit more organized. Scott, I am going to post that in my classroom!! !